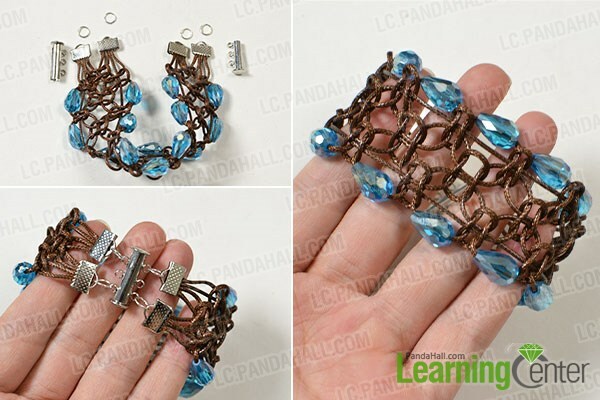 Summary: Do you like cool braided bracelet? 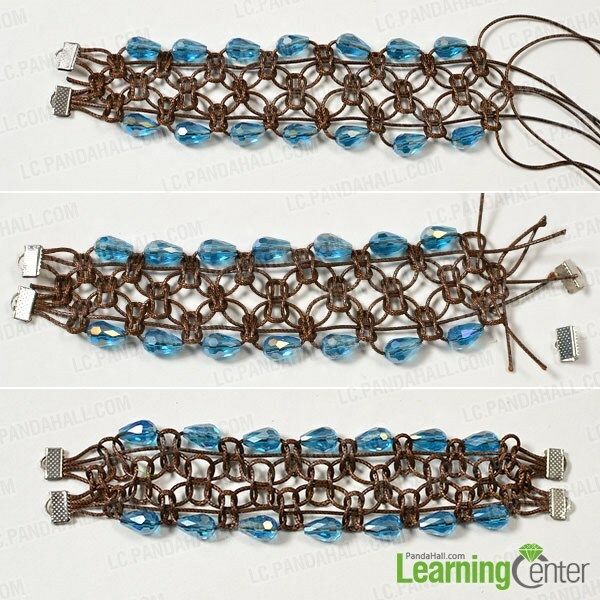 Then follow me to check this Pandahall tutorial on how to make wide coffee polyester cord braided bracelet with glass beads. 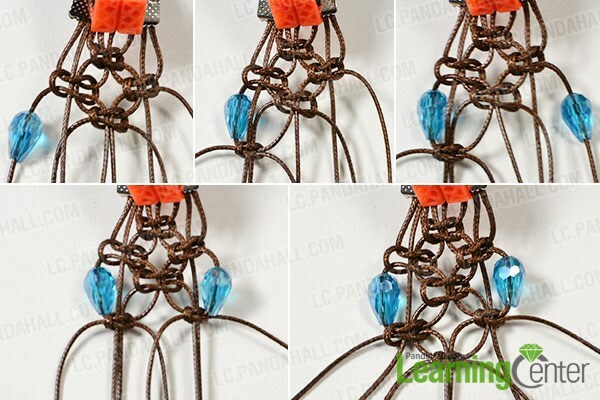 If you are searching for braided cord bracelet, you can look here. 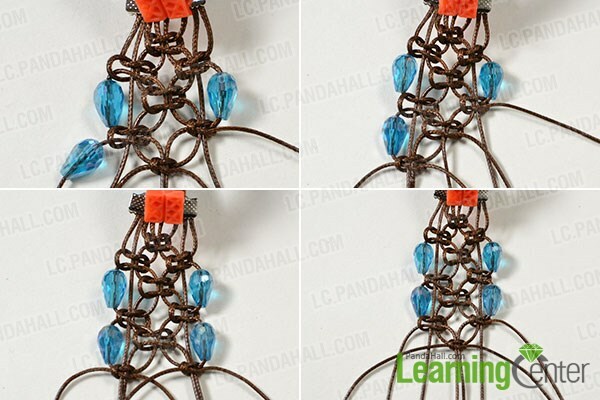 Now, I am going to show you a tutorial on how to make wide coffee polyester cord braided bracelet with glass beads. 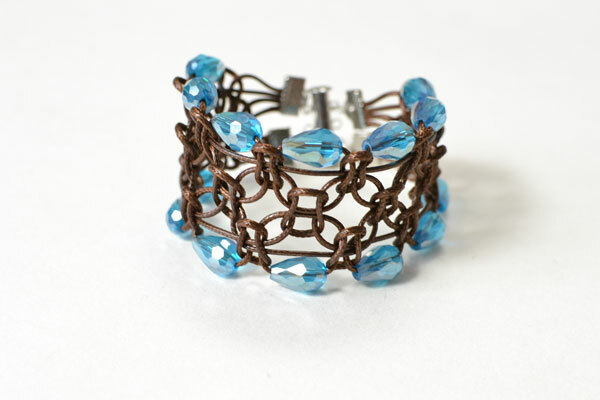 You can see the above picture and follow me to see how to make it if you like this wide beaded bracelet. 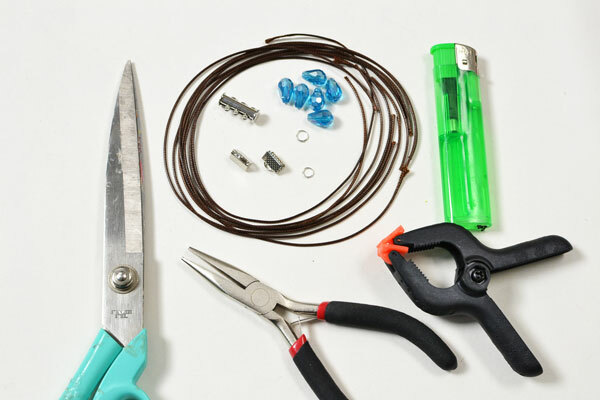 2nd, take out two cord ends and attach each four pieces of polyester cords with each of them, then pinch them tightly. 2nd, make a small knot with the middle four cords and make a large one, then tie the cord pattern tightly (as shown in the picture). 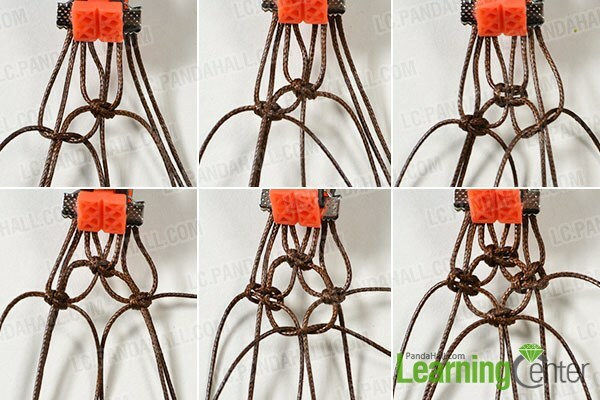 3rd, make the fourth knot with the middle cords at the middle part (as shown in the picture). 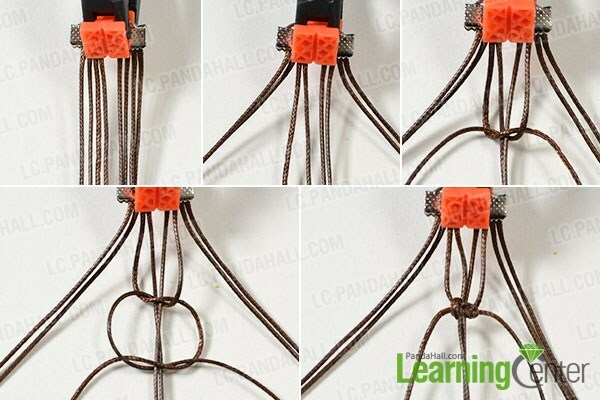 3rd, make a knot at the middle part (as shown in the picture). 2nd, then make three knots as last step did. 2nd, add two crimp cord ends to attach the cords together and pinch them tightly. 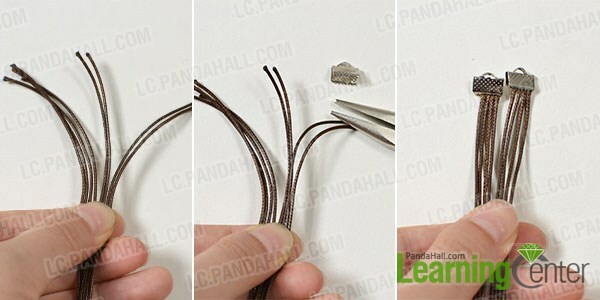 2nd, close the slide lock clasps to finish the wide coffee bracelet making. 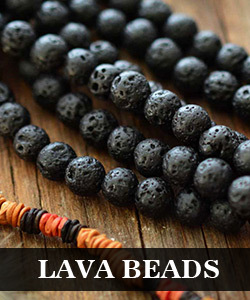 Look at this cool coffee glass beaded bracelet, like it? It is not so hard as you imagined, right? 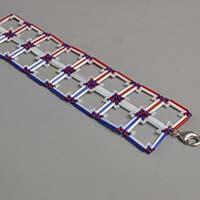 This wide bracelet needs many knots and it is the biggest feature of the cool bracelet. Have a nice try! Hoping you also love it.